A video has surfaced of a Virginia man who was reportedly shocked with a Taser more than 20 times in 30 minutes while he was shackled and en route to the hospital. The man, Linwood Lambert Jr., died in police custody, and his relatives are looking for compensation. 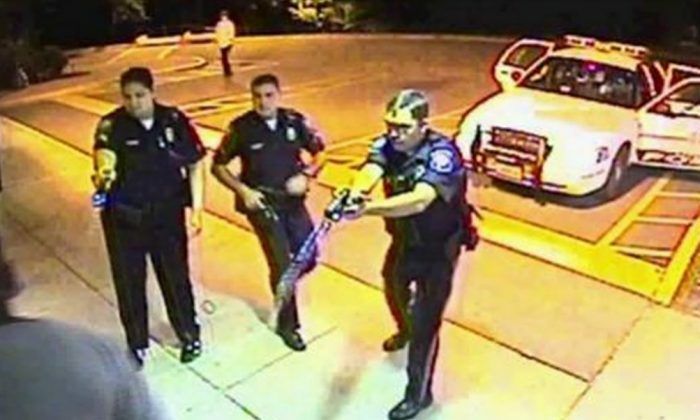 A video of the incident (WARNING: The footage may be disturbing for some viewers), which took place in 2013, shows police hitting him with a Taser several times. News outlets like CNN and MSNBC published the footage on Nov. 12. 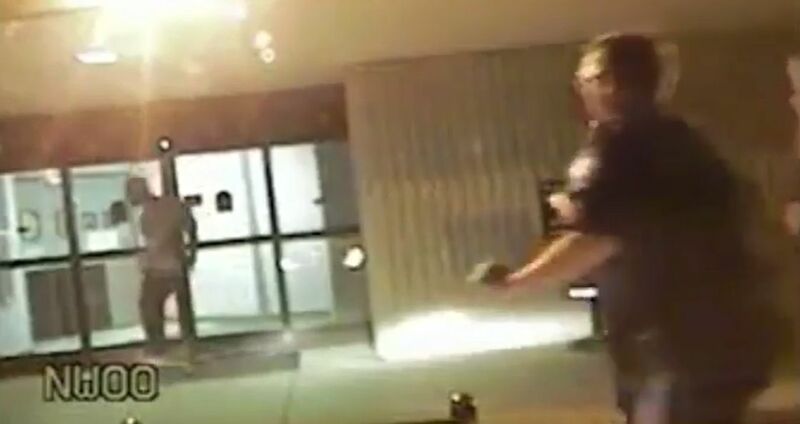 “I would suggest and argue that every single time they tased him as inappropriate,” said Joe Messa, an attorney for the Lambert family, told CNN. Officers said they responded to noise complaints at a motel in South Boston, Virginia, where they found him. However, the report states Lambert became agitated and police allege he tried to break out the window. “Don’t kick the window! 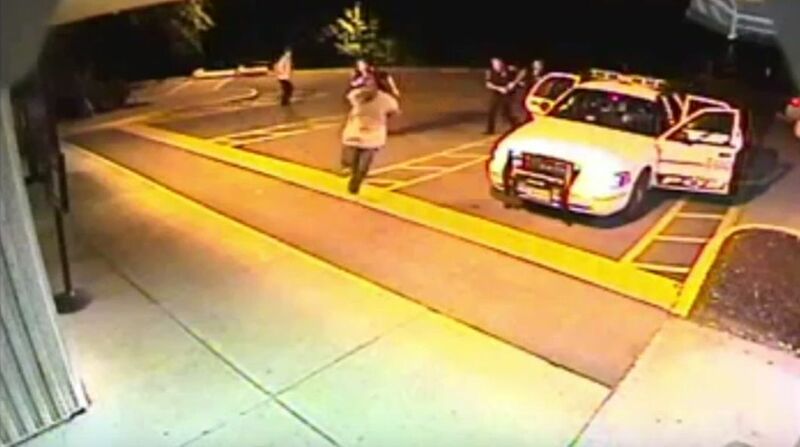 Quit kicking the window!” an officer says in the video. 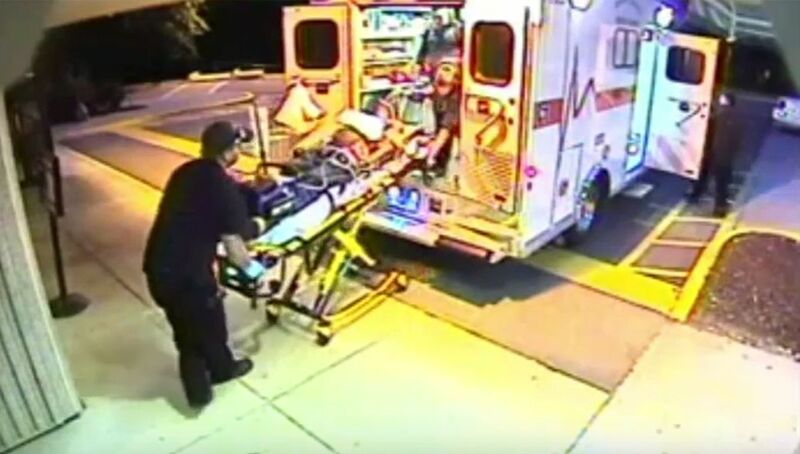 After that, Lambert is seen running out of the car, around 20 feet towards the ER before hitting the glass doors. The officers then ran after him and tased him. 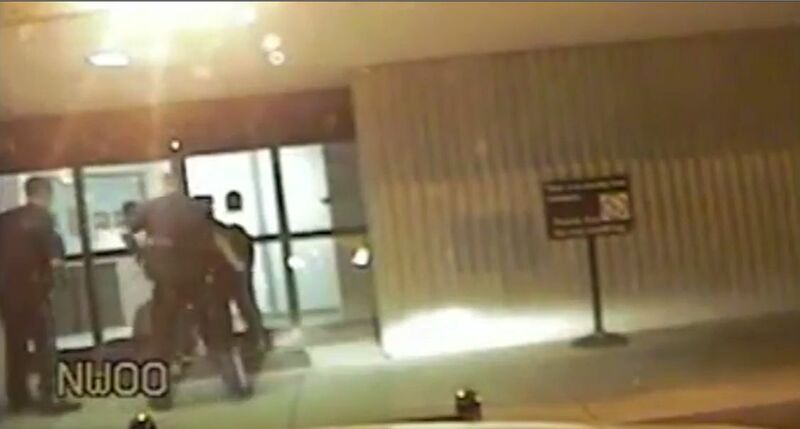 Lambert’s body then goes stiff with his hands cuffed before three officers–identified as Cpl. Tiffany Bratton, Officer Clifton Mann and Officer Travis Clay–surrounded him, reported MSNBC. “Every time you get up, I’m going to pop you,” said one officer in the clip. “I’m going to light you up again – roll over, roll over, turn over!” added another one. Messa said police used unnecessary force when tasing him. An autopsy report, however, said that the cause of death was acute cocaine intoxication..
His family is filing a $25 million lawsuit, accusing police of using excessive force.